SMS results to your phone! Its here! 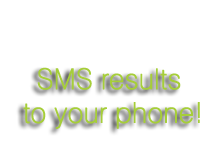 The SMS Results service is now running. Get live, official results updates direct to your mobile phone via text message, after every stage of every rally stage, live from the Rally HQ Command Center.